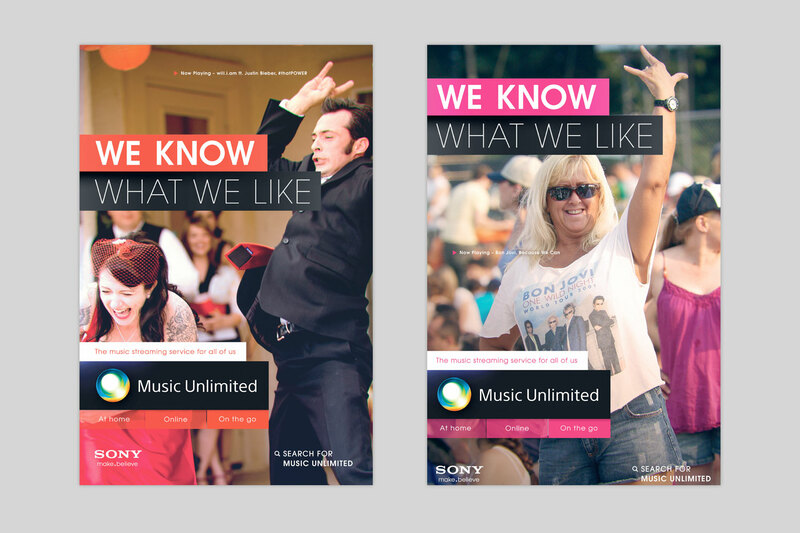 I was approached by Sony Computer Entertainment to review the Music Unlimited streaming service and suggest how it could be re-positioned. My insight was that while every other competitor was pitching their advertising at young influential leaders in the music industry there was a huge untapped market for those of us, young and old, who don’t know a huge amount about music, but know what we like when we hear it. 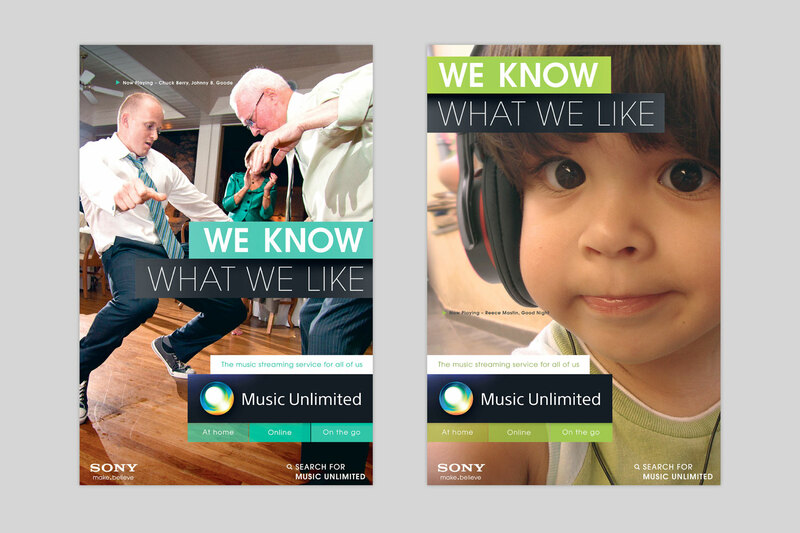 Music Unlimited could be the place where there is no ‘good’ or ‘bad’ music, just what we individually like and don’t like – and certainly no such thing as a guilty pleasure. 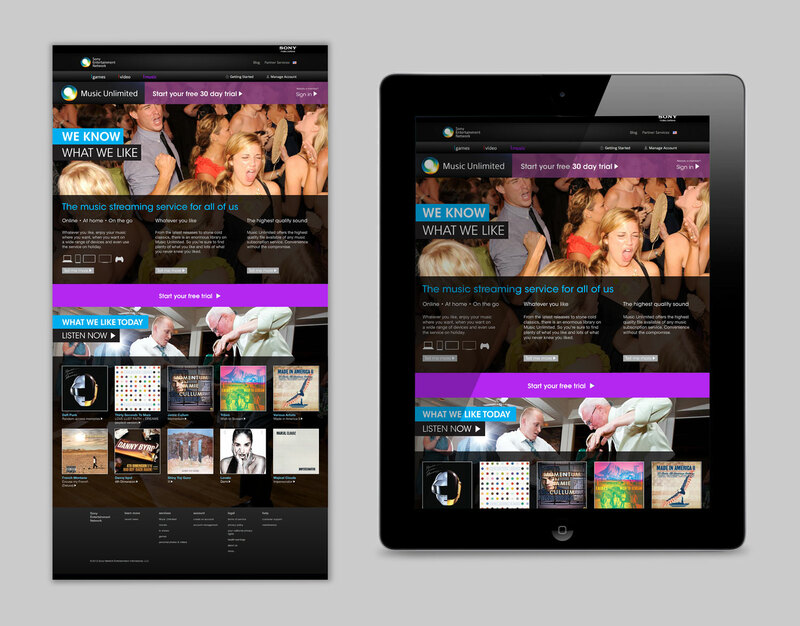 Work Club won the pitch and brought the initial insight to life in the form of a full digital campaign under the banner, ‘We know what we like’ and sourced some superb user-generated content of every day people unashamedly enjoying music. The main film was a mash-up of people from all all walks of life singing the universal language of ‘Sweet Caroline’ by Neil Diamond. Images of everyday people enjoying music without pretence made Music Unlimited stand out. Wedding dancing and kids were a rich source of content for the campaign.